RMLA is a small, professional, Landscape Architecture and Planning firm established in 2003. 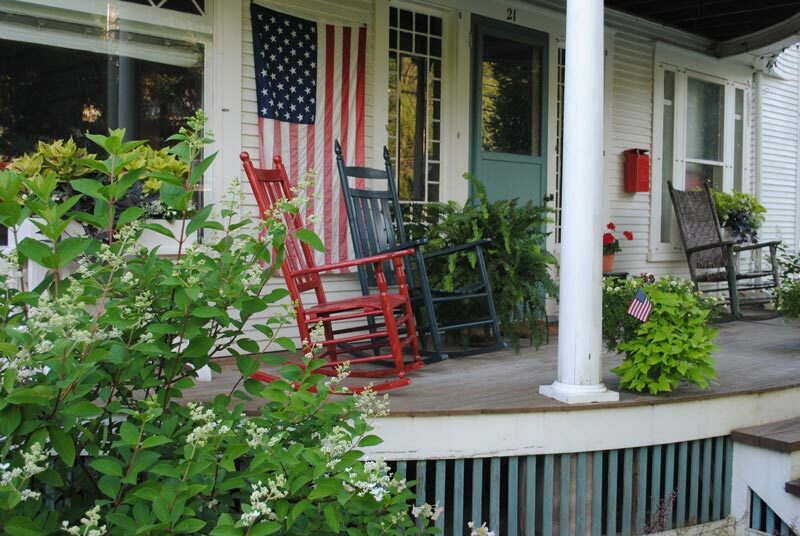 Our studio is located in the heart of Bristol, Vermont, a picturesque New England village at the base of the Green Mountains and overlooking the Lake Champlain Valley. We are fortunate to live and work in this beautiful community surrounded by family and friends. 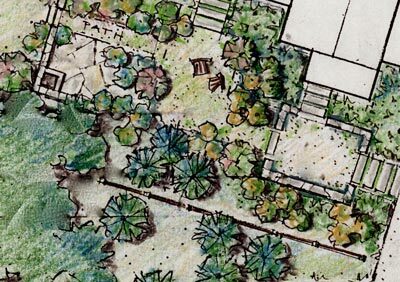 Our projects range from large scale master plans to intimate garden design. We regularly collaborate with local architects, engineers, horticulturalists and artisans in order to address the specific needs of a project. RMLA offers consultation, design expertise and technical services for all types of Landscape Architectural projects. Please view our complete client list here. Peter has always been inspired by the landscapes of New England. He was born and raised in Williamstown, Massachusetts, a college town nestled within the Berkshire Mountains. This early experience of living amidst the Williams campus instilled in him his initial interest in art, architecture and design. In 1977, Peter attended St. Lawrence University where he studied sociology, geology and ornithology. He captained the 1980-81 men’s varsity soccer team and spent many hours exploring the Adirondacks Mountains and St. Lawrence Seaway landscapes. 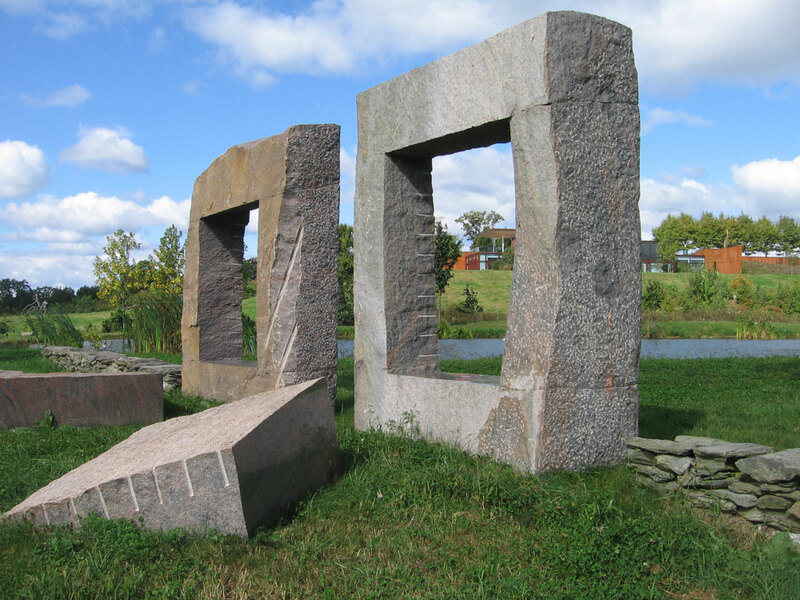 Following a brief working experience in New York and Boston, Peter attended Cornell University’s Graduate School of Art, Architecture and Planning. At Cornell, he received the Robert James Eidlitz Traveling Fellowship to study the architecture and landscapes of Cistercian Monasteries in France. In 1987, Peter joined the Office of the Daniel Urban Kiley in Charlotte, Vermont. For the next fourteen years, Peter worked alongside Dan as a project manager and lead designer, collaborating with architects and artists on many notable projects including; Milwaukee Art Museum, Milwaukee, WI; Irvine Campus, Capital Group Companies Inc., Irvine, CA and The European Court of Human Rights, Strassbourg, France. 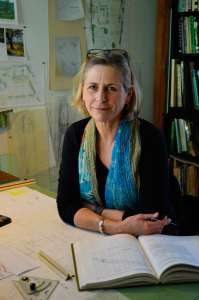 In 2003 Dan Kiley closed his office and Peter and his wife Katie Raycroft-Meyer established their own practice, RMLA in Bristol, VT.
During her twenty-four years as a practicing landscape architect in Vermont, Katie has had the opportunity to work in many aspects of the profession. She has managed projects at all stages of the design process, from the initial site inventory to implementation and as a planner and facilitator she has collaborated with many municipalities and community groups. Katie has taught courses in Landscape Architecture History and Theory at Burlington College and Site Construction and Management at Vermont Technical College. She has coordinated community art projects with local elementary schools and volunteered on planning and design review boards. Katie received her undergraduate degree at St. Lawrence University, studying biology, ecology and fine arts, graduating in 1981. 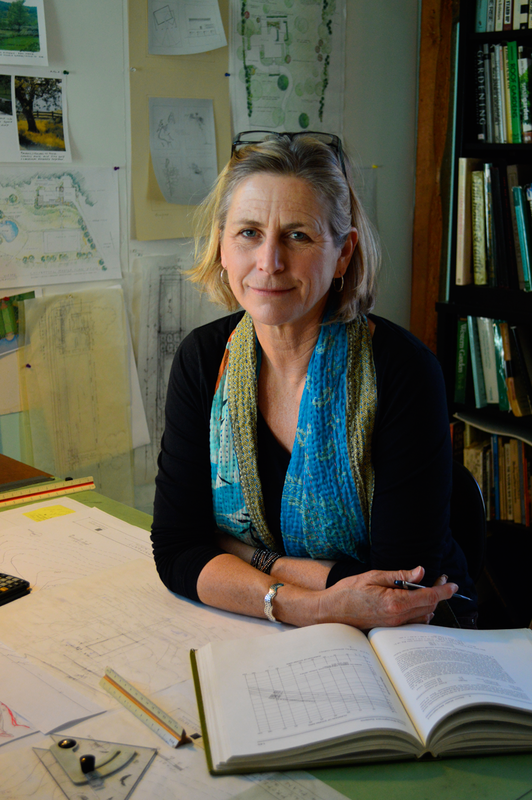 She initially pursed a career in marine biology, but her passion for the arts, eventually led her to the field of landscape architecture. In 1985, she continued her education at Cornell University’s graduate school of Architecture, Art and Planning. Katie’s greatest personal achievement has come from pursuing a career that she loves while raising her three children to be happy, respectful and curious life learners. As a lover of nature and art, she never misses an opportunity to share these passions with them. We believe design is a process of discovery and transformation. It begins with the understanding of the site: the regional, social, cultural and environmental systems and characteristics – the ‘spirit of place’. These factors inform and initiate a basic concept or diagram for the design. This diagram is then built upon in layers with physical design elements toward a meaningful composition that renders each project unique. Our small office environment allows us to work closely with each client, forming a relaxed working relationship throughout this process. 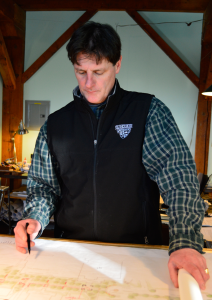 All initial design plans and sketches are done by hand, keeping the process dynamic and personal. Each project we undertake, regardless of size and scope is given the same degree of effort and attention to detail with the ultimate goal of solving the design problem and leaving a positive and lasting imprint on the land. We believe that well designed landscapes have the power to inspire us and instill a greater appreciation and awareness of the world around us, natural and man made.